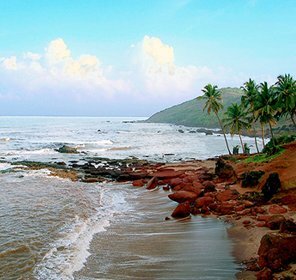 Beautiful and colorful Palolem Beach, enwrapped by a thick forest of coconut palms towards the south of Goa, is perhaps the most beautiful beach of Goa. It's an instinctive bay enclosed by lofty forelands on each side. 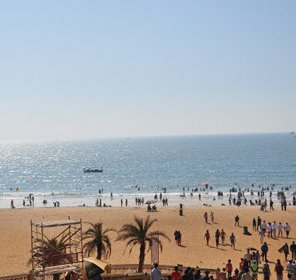 It's a long, shady and semi-circle shaped beach that becomes lively with the diverse crowd of travelers. This results in a calm, idyllic sea with a gently sloping bed that allows you to walk up to 100 m out from the beach. 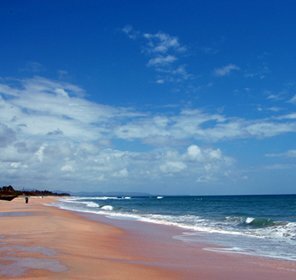 It's one of the most popular beaches that boast serene and calm tropical experience. 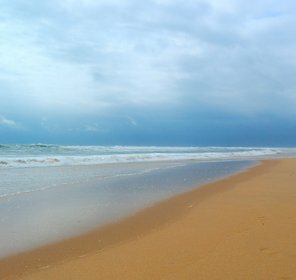 Unfolding over one mile, this seashore proffers unstained waters and golden sandy beaches that are of immense beauty. 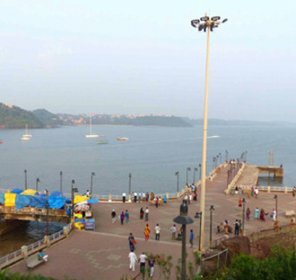 It's one of the finest locations to take a short break from your busy schedule and relish with your loved ones. The climate is moderate and the waters are not so rough, making it perfect for romping in the sand or for taking a dip in the waters of the Indian Ocean. 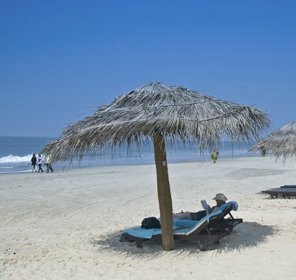 The beach cottages have distinctive cultures that are inhabited by foreigners and Indian communities. 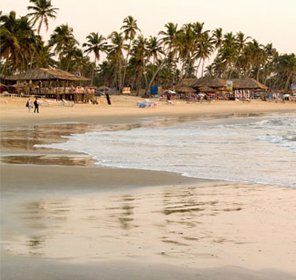 So, if you desire to relish in the sun amongst the golden sandy beaches and lovely coconut palms, while being fondled by the Indian breeze, holiday in Palolem Beach is the best option. Accommodation in Palolem ranges from luxury, deluxe to standard hotels. It has everything from basic beach shacks to luxury hotels and resorts. Right from luxury facilities to delicious cuisines, there is everything what you need it during your stay. 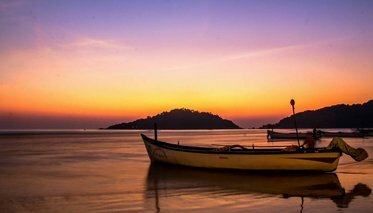 Palolem is a beautiful beach and if you happen to be there on a full moon night, it's quite great experience taking pleasure of several activities like water sports, dolphin trip, yoga classes, Ayurvedic massage, and many more. 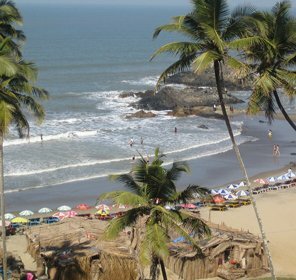 Palolem Beach is encircled by several tourist attractions that are finely located in and around the beach. 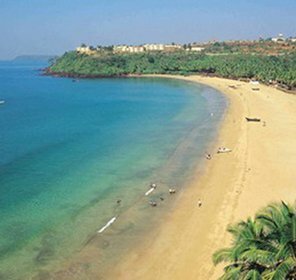 Being the most ideal beaches in the western state of Goa, it attracts a large number of tourists from all over the world. The beach offers the perfect balance of privacy, peace of mind, and nightlife with lots of rejuvenation. 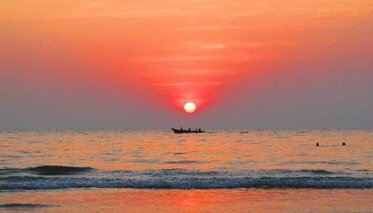 The sunset at Palolem beach has its own beauty that is mesmerized by everyone. The picturesque view of its scenic beauty simply has no words to express. 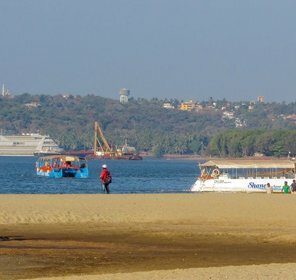 Long walk on Agonda Beach during sunset gives a perfect view from a distance. It gives a great relief and relaxation while sitting there and viewing the sunset of the beach. 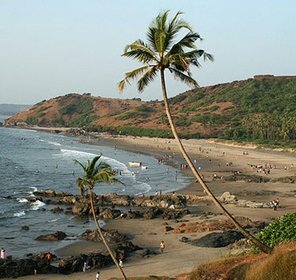 On the way to Palolen, one can visit Cabo De Rama Fort, the most popular tourist attraction located nearby beach. It is one of the oldest forts, made during the era of Lord Rama of Ramayana. 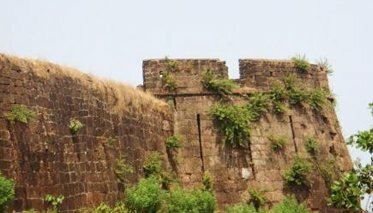 Many tourists come with their family members or friends, to unfold the history of this fort. 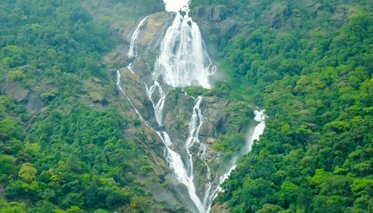 It's a very enchanting spot that should be visited if you are in Palolem. One who likes to embark on in their life, this might be one of the best ever spot where you can have lots of fun and enjoy trekking, camp fire and the charming view of waterfall. Located in Agonda, you'll find this church while entering Agonda road way. 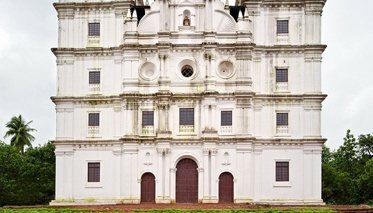 This place is known for its serenity and architectural beauty. Spending a few minutes at this place gives great relief and peace of mind. 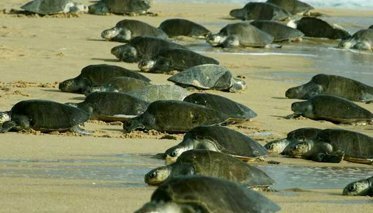 This beach is another main attraction of Palolem Beach where the famous Olive Ridley turtles lay their eggs. Locals and foreigners visit here as there are lots of opportunities for fervent bird watchers. 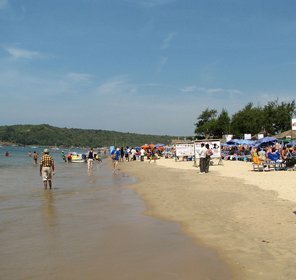 The Island is one of the main attractions of Palolem Beach. Towering in the background, it's a beautiful paradise that draws a large number of travelers from all across the globe. 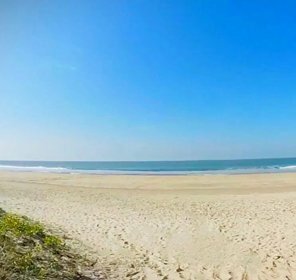 Located on the northern side, one can walk through the shallow water in low tide and during high tide, one should experience boat ride. 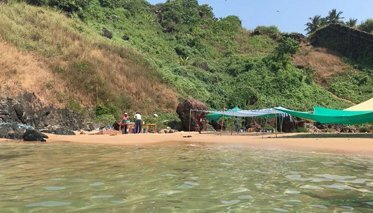 Today the stretch of Palolem beach seems like Bohemian haven with low-priced dining options and lively nightlife.The nightclubs of Palolem have given a new birth to the silent party trends, where locals and visitors dance on the beat of music that is connected to DJ system. After sunset, Palolem Beach turns into a real sight of lights and colors. 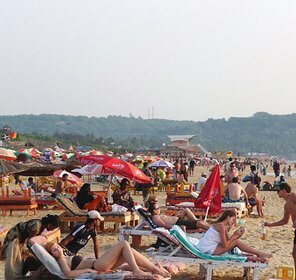 All kinds of night activities are held on the south side of the beach in which Palolem is mostly known due to its silent discos, which are organized on the beach or in bars. The most popular and favorite spot that is admired by everyone is 'Silent Noise Party' that offers the everlasting experience of dancing to great music. Live music, dance music, reggae, and rock –it pumps whole night through speakers or headphones at Silent Noise Parties. It is held every Saturday at Neptune Point. 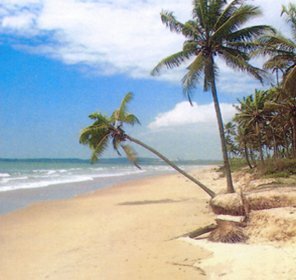 The nearest way to reach Palolem Beach by flight is Dabolim Airport, which is 67 km away. Madgaon (43 km) and Canacona (2.1 km) are the nearest railway stations to reach Palolem, which is 43 km away. If you are by bus or rental car, use NH178 and NH66 Highways as both of them pass through the city of Margao.